Star Web Maker is the best Software development company in Noida, India offering complete web solutions with a commitment to surpass customer expectations by providing excellent and timely software solutions. Star Web Maker utilizes the latest technology to bring fast and consistent results to grow our client brands. We take pride in offering innovative work ideas, integrity and timely delivery of projects. We offer quality and affordable web solutions and software development solutions to both small size and enterprises to get a better web presence. Software development and enterprise application Software development at Star Web Maker has always been an ultimate panacea for distinct needs of clients' across domains. Star Web Maker Services Pvt.Ltd has evolved as a true professional software company after successfully completing numerous client projects. We develop solutions that best meet the business objectives of our clients and ensure long-term value. Our solutions help you organize business and technology strategies cost effectively without compromising quality. 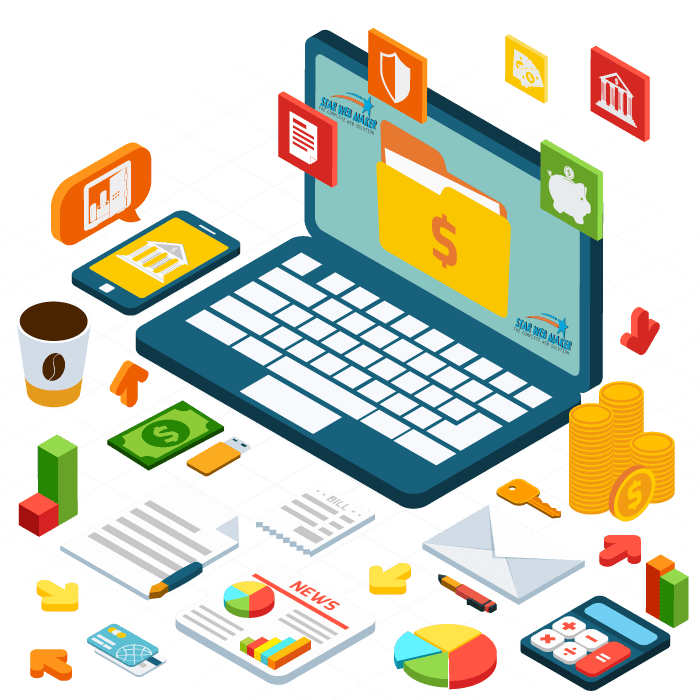 Star Web Maker is a leading Software Development and Payroll Software Company with a state of the art development center in Noida, India. Star Web Maker Services Pvt Ltd is offering Software Development Services to self-regulating Software Vendors worldwide. We at Star Web Maker Services Pvt Ltd provide affordable and quality services to various clients across the worldwide. Our Software Development Services include developing custom applications in E-Commerce Solutions Development, Offshore Outsourcing Services, Custom Applications Development, Application Integration, Payroll Software, Customer Relationship Management, Supply Chain Management etc. With the scalability and flexibility to support long-term growth, Development India's solutions provide a single point of accountability to promote rapid return on investment and low total cost of ownership. By using an iterative approach, we avoid "surprises" at the end of the project. We want you and your employees to try out the software as we are developing it so that we can confirm that the business requirements are being met.